The Air Power Vacuum Plate uses the vacuum in the duct to propagate the brushing head in the duct when cleaning. No more manual force needed. 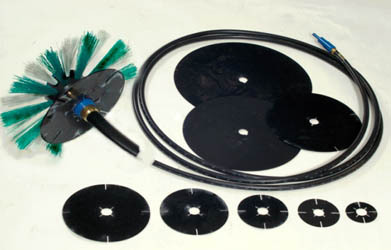 Air Power Vacuum Plates can be used with all AirPower brush heads in all kinds of ducts.